Is there a team owner in Chicago smarter than Jerry Reinsdorf? About two decades ago, he and Bill Wirtz, who owns the Blackhawks, helped underwrite the cost of the United Center by getting the state to pass a law guaranteeing them a generous property tax break. 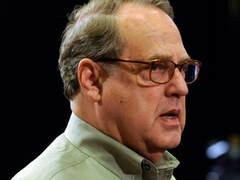 With the property tax break due to expire in 2016, what does Reinsdorf do? He unveils snazzy plans to build a state-of-the-art practice facility just east of the United Center, as part of a larger development with retail, a restaurant, and other stuff. That is, he'll build that practice facility if the state extends some portion of that tax break. Oh, he's a crafty one, that Reinsdorf. In the days since he released the plans, he's got the locals mesmerized by the prospect of having the Bulls players practice on the west side. He'll get that tax break, just you watch. How can you go against something that the Bulls players so desperately want? Even if they did blow back-to-back games against the Clippers and Trail Blazers over the weekend. 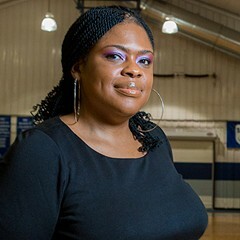 Hey, fellas, any time you want to guard against the three-point shot, it's OK by me. Meanwhile, the Ricketts bunch, who own the Cubs, must be wondering: WTF, are we chopped liver? Their plans to get a state/city handout to rebuild Wrigley Field have been on hold for months even though Mayor Rahm's obviously thirsty to give them the dough. One more time—don't let the mayor do it, Governor Quinn! It didn't help that Papa Joe Ricketts was thinking about funding a right-wing campaign against President Obama, the most revered politician in Chicago. That might play big if you own the Salt Lake City Cubs. But not the Chicago Cubs. In contrast, you really can't find anyone to say anything nasty about Reinsdorf—who also owns the White Sox—including Tony La Russa, Doug Collins, and other managers/coaches he's fired. For my part, there was a time in the late 90s and early 00s where I defiantly vowed that I'd never, ever buy a ticket to a team owned by Jerry Reinsdorf. This was right after Reinsdorf prematurely broke up one of the greatest basketball teams of all time by needlessly choosing GM Jerry Krause over coach Phil Jackson, thus running Michael Jordan out of town. One more time: Jerry Reinsdorf, what were you thinking!!! It was my former editor Michael Lenehan—one of the wisest men I know—who predicted, "You'll get over this, Ben, once you calm down." Mike was right. My boycott lasted for about five years. Then I got all excited about Jalen Rose joining the Bulls and went out and bought a ticket. What can I say? Such is my love for the Bulls. Though, guys, do you think you can find anybody other than lil' Nate Robinson who's not afraid to shoot the ball in the fourth quarter? Jerry, you don't need a subsidy any more than the Ricketts. If you want to build a practice facility and bring the team in from Deerfield, do it. But pay for it yourself. I've got two main reasons. One, I fear that if the state gives the Bulls this tax break, they'll feel it's only "fair" to hand over some money to the Cubs. Thus we, the taxpayers, will be screwed on two fronts. Two, the less the Bulls pay in property taxes, the more I—and every other home owner—must pay to pick up the tab for local government. And as much as I may love the Bulls, I don't love them that much.